Biodiversity – Degree of variation of life The sheer diversity of life is of inestimable value. It provides a foundation for the continued existence of a healthy planet and our own well-being. 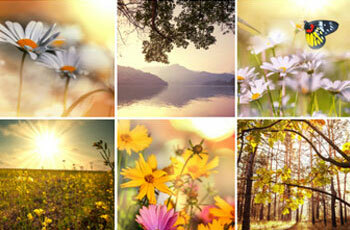 A characteristic of life on Earth is that it is full of variety. Imagine a life where all the humans look alike and think alike. How bland and monotonous that would be? How the world would have been if all the people thought alike? Have you ever wondered what it would be like to live in a world without variation? For instance; free yourself for a moment from your experience, forget all that you have learned and start using your imagination. Try to visualize your body, the people around you, the seas, the sky, trees, flowers, in short everything same without no difference. Imagine that there is no variation around you. Would you like to live in such a world? Besides the complications that arise from such a set up, the way we have evolved is attributed to the diversity among us as well as within us. The differences in the living forms, thought processes and emotions is what shaped us the way we are today and it is said to be "Biodiversity". We live in a world composed of various people, ideas, cultures, etc. Thus, life is a continuum extending from the earliest organisms to the great variety of species that exist today. Wonderful and mystical variances are found throughout the universe that make for a perfect balance in nature. Diversity brings variation to the life Humankind derives tremendous benefits from the wide diversity of species on Earth. Humankind derives tremendous benefits from the wide diversity of species on Earth. Earth is home to miraculous diversity of species that provide variety of food, medicine and other infrastructure necessary for the existence of humankind. Speciation, the evolutionary process by which new species are formed, is clearly responsible for the ultimate generation of species diversity over geologic time, each species and organisms were given name and identification. This science is referred as "Systematics, where "binomial nomenclature" gives scientific names to the organisms. Variations arise either due to environmental influence or genetic factors. The environmental factors like the food, temperature, etc. influence the phenotype of individuals. However, phenotypic changes are not heritable. Genetic changes are those that affect the genes. These changes are heritable and important from the evolutionary point of view. Diversity is a good thing because it gives people the chance to experience different things outside of what they are normally accustomed to. A diverse organization is one that values the difference in people. It is one that recognizes that people with different backgrounds, skills, attitudes and experiences bring fresh ideas and perceptions. Diverse organizations encourage and harness these differences to make their services relevant and approachable. Diverse organizations draw upon the widest possible range of views and experiences so it can listen to and meet the changing needs of its users. The encouragement of diversity benefits society. Benefits of Biodiversity Biodiversity provides us not only food, energy and materials but also free recycling, purification and natural pest control services. Diversity is the hallmark of life as the total species count range between 10 million to 200 million while biologists have so far named about 1.8 million species which can be grouped under three domains or five kingdoms. Even though there is so much of diversity we can also find remarkable unity especially at molecular and cellular levels. The universal genetic language of DNA is common to organisms as different as bacteria and animals. 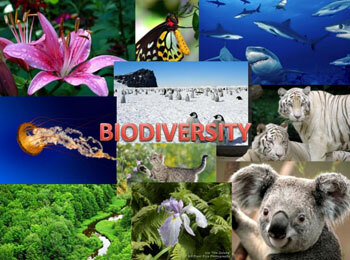 Biodiversity includes a rich variety of genes, species (invertebrates, vertebrates), ecological diversity (variety of forests, streams, lakes, oceans, coral reefs, wetlands and other biological communities) and functional diversity in processes or functions such as energy flow and matter cycling needed for the survival of species. Biodiversity provides us not only food, energy and materials but also free recycling, purification and natural pest control services. Insects that eat other insects help control the population of at least half of the insect species we classify as pests. Without pollinating insects, very few fruits and vegetables would be available for us as a large portion of earth’s plant species depend on insects to pollinate their flowers. Ecosystem services are the direct and indirect contributions of ecosystems to human well-being. They support our survival and quality of life. Most of the earth’s microbes are harmless and play a very important role in our lives. Some of them are useful in producing food such as bread, yogurt, cheese, vinegar, tofu, beer and wine. They convert nitrogen gas in the atmosphere into forms that plant can take as nutrients. Bacteria and fungi in the soil decompose organic wastes into nutrients that can be taken up by plants. Bacteria in intestinal tract break down the food we eat. 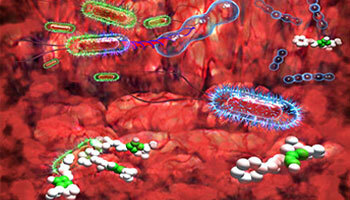 Microbes also have been the source of disease fighting antibiotics including penicillin, erythromycin and streptomycin. 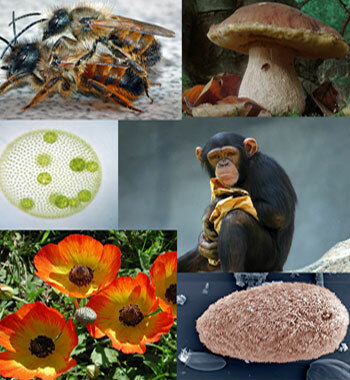 Studies of biodiversity don't just provide drugs and chemicals to solve human problems, more important to many biologists (Examples: Role of Eubacteria in nature), these studies help us understand the evolutionary origins of species and discover their role in healthy biological systems. 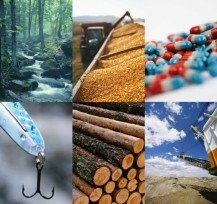 Humans depend to a large degree on goods provided by natural and managed ecosystems. These goods and other benefits provided by ecosystems to mankind are collectively referred to as ecosystem services. Everything that lives in an ecosystem is part of the web of life, including humans. 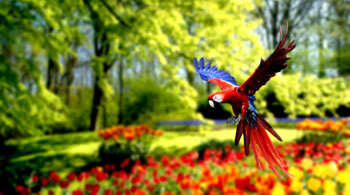 Each species of vegetation and each creature has a place on the earth and plays a vital role in the circle of life. Plant, animal, and insect species interact and depend upon one another for what each offers, such as food, shelter, oxygen, and soil enrichment. Maintaining a wide diversity of species in each ecosystem is necessary to preserve the web of life that sustains all living things. Now, let's try to understand how each and every individual is different from one another. Look around you and you will find each one of us to be different Each individual species possesses genes which are the source of its own unique features. Look around you and you will find each one of us to be different in some way or other; in fact we are different in more than billion different ways if we consider differences within us at the cellular level. There is no one else exactly like you. You could travel around the world but you still would never find another you – It's Only You! We deal with foods differently, respond to infection differently, respond to medicines differently, even our likes and dislikes differ too. 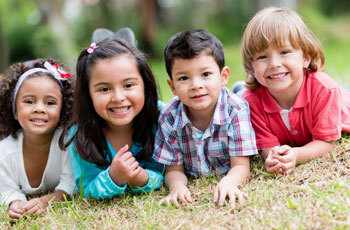 Even though we are different from our parents in many ways we inherit genes from our parents. We can understand from our genome sequence that our DNA and associated genes defines you, your appearance, physiology and behavior. Everything about our body, from eyes to the big toes, is the expression of genes which influence the traits you inherited in predictable and unpredictable ways. Thus, you and me are unique in our own way! Evolution is any change across successive generations in the inherited characteristics of biological populations Evolutionary processes give rise to diversity at every level of biological organization, including species, individual organisms and molecules such as DNA and proteins. Evolution is the mechanism producing the diversity of life. 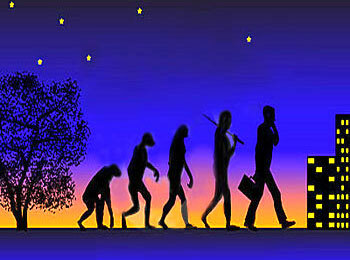 Evolution is the process by which modern organisms have descended from ancient ancestors. Evolution is responsible for both the remarkable similarities we see across all life and the amazing diversity of that life – but exactly how does it work? Evolution does not occur in individuals but in populations. A population is an interbreeding group of individuals of one species in a given geographic area. A population evolves because the population contains the collection of genes called the gene pool. As changes in the gene pool occur, a population evolves. Fundamental to the process is genetic variation upon which selective forces can act in order for evolution to occur. Exploring life in its entirety helps us to have a panoramic view of the unity in the diversity of life. For example; the rain forest orchids reflect the unity in diversity through variations in their form and color while all of them belong to the same species with common characteristics such as lip like petals that attract pollinating insects and provides a landing platform for the pollinators. Darwin's theory of evolution by way of descent with modification and natural selection explains this unity and diversity. Natural selection drives evolution Individuals with advantageous traits are more likely to reproduce successfully, passing these traits to the next generation. In order for evolution to occur, there must be genetic variation. Genetic variation brings about evolution. Without it there will be no evolution. There are two major mechanisms that drive evolution. First is natural selection. Individuals with advantageous traits are more likely to reproduce successfully, passing these traits to the next generation. This kind of evolution driven by natural selection is called adaptive evolution. Another mechanism involves genetic drift, which produces random changes in the frequency of traits in a population. Evolution that arises from genetic drift is called neutral evolution. All living things, from the simplest bacteria to grass to humans, are the descendants of a tiny primitive cell that formed over 3.4 billion years ago. The theory of evolution describes how the descendants of this first cell have changed over countless generations to produce the millions of species that share our planet today. Populations or species with low genetic diversity at many genes are at risk. When diversity is very low, all the individuals are nearly identical. If a new environmental pressure, such as a disease, comes along, all of the individuals within the population may get the disease and die. But in a population with high genetic diversity, chances are better that some individuals will have a genetic makeup that allows them to survive. These individuals will reproduce, and the population will survive. Thus, the natural world among us is extremely rich and variable in forms, colors, odors, behaviors, movements etc which obey the principles of natural selection. Natural selection and diversity Individuals whose fitness is greater leaves more offsprings in the next generation than individuals of lesser fitness. Peppered moths are good examples for natural selectionPeppered moths remain the popular specimen when talking about natural selection and environmental variations. When we think of evolution, we usually think of primates evolving into humans, and of the evolutionary changes that were made over thousands and thousands of years. But the truth is evolution is at work all the time. Sometimes the changes are small and appear insignificant at first glance, but they all play a part in natural selection and the survival of the species. But natural selection doesn't lead to the development of a new species. 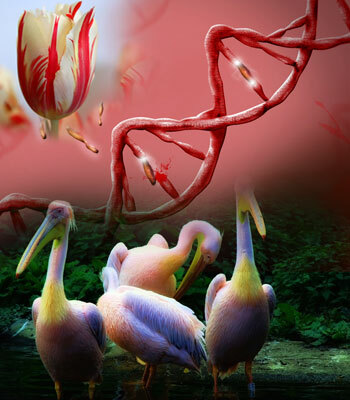 In most cases, the process simply allows a species to better adapt to its environment by changing the genetic make up from one generation to the next. And the process is actually quite predictable. If a species lacks a certain trait that will allow it to survive, there are two options: Either the species dies out or it develops the missing trait. 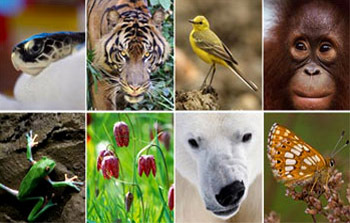 Our planet hosts millions of different species. All of these organisms compete for limited resources as they struggle to survive. For example: The Peppered Moth is widespread in Britain and Ireland and frequently found in ordinary back gardens, yet its amazing story has made it famous all over the world. It is one of the best known examples of evolution by natural selection, Darwin's great discovery, and is often referred to as 'Darwin's moth'. Before the industrial revolution in Britain, most peppered moths were of the pale variety. This meant that they were camouflaged against the pale birch trees that they rest on. 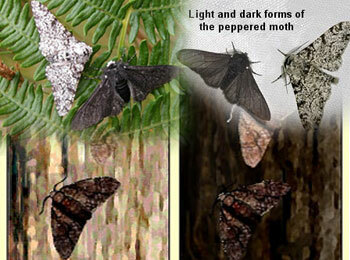 Moths with a mutant black coloring were easily spotted and eaten by birds. This gave the white variety an advantage, and they were more likely to survive to reproduce. Airborne pollution in industrial areas blackened the birch tree bark with soot. This meant that the mutant black moths were now camouflaged, while the white variety became more vulnerable to predators. This gave the black variety an advantage, and they were more likely to survive and reproduce. Over time, the black peppered moths became far more numerous in urban areas than the pale variety. [source: BBC]. Thus, from this example, it is clear that natural selection is one of the driving forces that run diversity. Evolution of antibiotic-resistant E. coli Antibiotic-resistant strains of bacteria are an increasing problem in hospitals. Thus, in our ever-changing world, a naturally occurring genetic difference in an individual can become an advantage or a fatal flaw in the struggle for survival. Those who live to reproduce pass their favorable genes to future generations. Certain characteristics become more or less prevalent over time as the group as a whole evolves. Diversity in finches raised due to survival for fittest The different species have beak sizes and shapes that are best suited for feeding on different food types, such as insects, plants, or different seeds sizes. Darwin's finches are an excellent example of the way in which species' gene pools have adapted in order for long term survival via their offsprings. Darwin and an ornithologist (An ornithologist is a type of zoologist who focuses on birds) associate identified 13 species of finches that he had collected on the Galápagos Islands. This was puzzling since he knew of only one species of this bird on the mainland of South America, nearly 600 miles to the east, where they had all presumably originated. 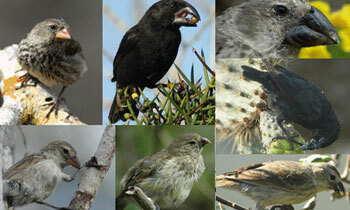 He observed that the Galápagos species differed from each other in beak size and shape. He also noted that the beak varieties were associated with diets based on different foods. He concluded that when the original South American finches reached the islands, they dispersed to different environments where they had to adapt to different conditions. Over many generations, they changed anatomically in ways that allowed them to get enough food and survive to reproduce. This observation was verified by intensive field research in the last quarter of the 20th century. Massive diversity but still share common ancestry All the organisms are unified by certain common traits, which reveal their common ancestry. Researchers and evolutionists believe that the last (most recent) common ancestor to all existing life forms lived about 3.9 billion years ago. That ancestor gave rise to the three domains of life - Archaea, Bacteria and Eukarya – and all the organisms that comprise those domains. The great diversity of life is easy to see and worth watching, but the unity (common ancestry) of life is little bit harder to wrap our mind around. Common ancestry means that all living things – past, present, and future – share an ancestor, and all descended from that one individual. For example, it is hard to believe, considering the vast differences between bacteria like E.coli, the fungi like mushroom on your pizza, what we humans eat. But if we look a little more closely, they all rely on nucleic acids to encode information, they all synthesize proteins by similar processes known as protein synthesis and for all of them, the basic unit of life is the cell. The differences between these organisms have evolved in the billions of years since their common ancestor lived. If we put it in another way, since that ancestor lived so long ago, there has been plenty of time for evolution to shape these organisms into the disparate forms they take today. If we put together, all the organisms are unified by certain common traits, which reveal their common ancestry and at the same time show massive diversity in their morphology, anatomy, physiology, ecology, and life history, among other things, is compelling evidence that evolution has occurred. Mutations - A driving force of evolution Mutations give rise to new alleles; therefore, they are the source of variation in a population. Variation from mutations: Mutations, a driving force of evolution, is a random change in a population's gene pool. It is a change in the nature of the DNA in one or more chromosomes. Mutations give rise to new alleles; therefore, they are the source of variation in a population. Mutations may be harmful, but they may also be beneficial. For example, a mutation may permit organisms in a population to produce enzymes that will allow them to use certain food materials. Over time, this type of individuals survive, while those not having the mutations perish. Therefore, natural selection tends to remove the less–fit individuals, allowing more–fit individuals to survive and form a population of fit individuals. Genetic misspellings are thus the engine that drives evolution itself. Variations from genetic recombination: Meiosis produces genetic variation by the way of the process of recombination, thereby creating offspring with unique combinations of DNA. This constant mixing of parental DNA in sexual reproduction helps fuel the incredible diversity of life on Earth. Genetic recombination allows trillions of different combinations of DNA. This plays a significant role in adaptations to different environments. For example, if we all had the same DNA, we would all be susceptible to the same diseases. A single disease could destroy the entire population. By providing for different combinations of DNA, there is a greater chance that the race will be able to adapt to certain conditions. Thus, diversity makes life interesting. For example; if every house on the block looked the same, if every restaurant served the same food, if everyone talked at us for hours in a monotone about things we already knew, then life just wouldn't have much aliveness, would it? Diversity is a fundamental property of the universe, along with matter, energy, space, time, relationship, unity, and many other phenomena that are present everywhere. Everything that you see (or don't see) that is different from anything else — and every difference between them — is an aspect of diversity. So diversity exists everywhere. Diversity is the one true thing we all have in common. Celebrate it every day!